The home inspection: an often critical component that can make or break a closing. Many first-time buyers don’t know what to expect during a home inspection. As a result, they may be nervous or anxious. On the other hand, they may not see or understand the value of a home inspection, putting them at risk for buying a property with serious deficiencies. 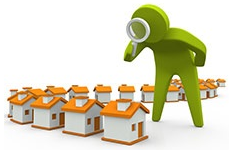 Educating the buyers about what to expect during the inspection phase is a valuable service that I will help you with. Here are 6 frequently asked questions about home inspections. Why do you need a home inspection? Buying a home is probably one of most expensive purchases you will ever make. To know that you are making a good decision, you need to learn as much about the house as possible. A home inspection with a trained inspector will reveal any safety issues and major or minor defects on the property. The inspector will check the condition of the home in areas you may not be able to see or easily access, like the roof. What is a home inspection contingency? The home inspection contingency protects buyers like you by giving you the right to cancel the sales contract without forfeiting your ready money. If the home inspector finds a problem or problems with the property, you can absolutely back out of the sale. Or you can present the home inspection findings to the seller and request repairs or a cash credit before closing. How much does a home inspection usually cost? Home inspection prices can vary by inspector and by region, but expect to spend three to four hundred dollars. Since this is your only opportunity before closing to identify any problems, this is not the time to skimp on costs or look for a “bargain” inspector. You want to make sure you hire a thorough, reputable inspector. Who do you recommend? As your agent, I have prepared a list of inspectors that I’ve used in the past. Will you be there during the home inspection? No, as indicated by the buyer services we discussed when we started working together, I provide a high level of customer service BUT, will NOT be there for the home inspection. This is a Business Transaction between you and the Inspector, so YOU should try to be present. The inspector will take photos and provide a detailed summary report, so you should not miss the opportunity to be there and ask questions. The inspector can point out which small repairs you can do yourself and which larger problems may require a specialist. Some inspectors will also offer home maintenance tips as they discover areas that are in good condition now but may need attention in the future. AFTER the Inspection: The Inspector will send both you and me a copy of the Report, THEN I can get with you to go over it and decide what to do next. What are the next steps? Depending on the home inspection findings, we will proceed with the sale as is, negotiate for a better price, request repairs or choose to back out of the sale. I just want to remind you that no home is perfect. Every home will have at least minor issues revealed during a home inspection – even new construction. Just know that, as YOUR real estate agent, I am happy to offer advice based on my previous experience, but choosing whether or not to proceed with the sale after the home inspection is ultimately YOUR decision.